Well it’s back to school and so my back to school cartoon…. With school right around the corner, I thought it was only fitting to post my first Jesus cartoon. 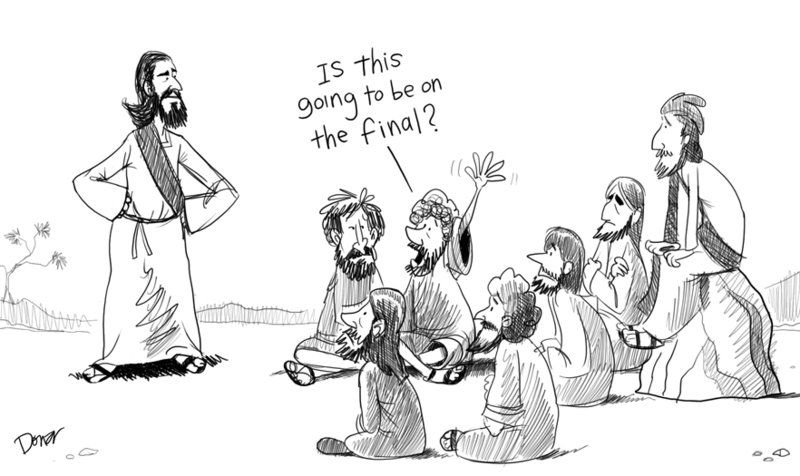 I’ll probably offend somebody, but you have to admit that even Jesus had to have moments when he was teaching.